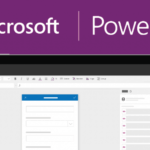 The “PowerApps platform” by Microsoft enables the development and making of the mobile apps without the extensive in-depth coding with the help of web-based user interface. Microsoft claims that this platform is developed in a way where no detailed coding would be required to make the mobile apps. 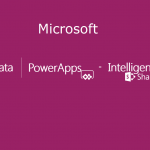 Microsoft PowerApps is possible with the Dynamics Citizen Developers. Who are they? In the definition from Gartner, mentioned in general terms, is the elaboration of what a citizen developer is. Any person or individual user who utilizes his/her skills for the development of fresh business apps for others with the help of development approved by corporate IT. Informally, a citizen developer is a person who need not have formal developing experience. He\She may possess some of the tech skills for the understanding of the aspects. The PowerApps UI is prominently based on the legendary Microsoft Excel, the one who excels at Excel excels at the PowerApps. The minor question which comes in various minds is whether a traditional developer is a citizen developer. The technical aspects which an original developer looks and trades upon will not be found in this interface. Microsoft claiming that an app is made with minimal coding says itself that it would be a traditional developer’s cup of tea. The control and customization which a developer is inhabited upon makes PowerApps not suitable for the legends and experts. Well then, how can you incorporate PowerApps in your company? 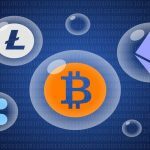 For that, you will need an administrator from an IT background with the knowledge of process management and assigning roles. Next, an expert: may be a traditional developer or a formal developer with some programming experience. Let him learn the PowerApps first and have him develop some of the projects. Another option for an expert is a PowerApps consultant with great helping skills. Concetto Labs is ready to be your PowerApps consultant. Lastly a group of active citizen developers with a functional background which can be hired internally or externally. When looking internally in your organization, observe the employees who are good or great with MS Excel and are willing to develop some apps. Individuals from the background of Maths, Computer or Engineering will do. If you are searching outside your company, pray look for the same thing because if you hired an expert, he would not be able to cope with the simplicity of the PowerApps as he was trained with the most complex features and you would be looking for another one shortly. Finally, when you’re ready with your army of citizen developers, have the expert you’ve hired to provide them a formal two to three-day training. Also note that after the expert is done with its work, it remains available for you for the next two to three weeks for solving the queries of your newly formed citizen developers. This would help your own developers gain self-sufficiency and clarity about the concept and PowerApps. 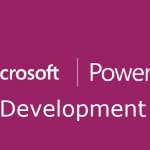 For the Microsoft PowerApps development, there is a requirement of PowerApps citizen developer who must be a dynamic individual. We at Concetto Labs provide our services as a PowerApps Consultant for Hire and you can also Hire PowerApps developer who will work as an expert as well as a team of PowerApps citizen developers working for you as per your requirements constantly striving for perfection. PowerApps: Can Non-Coders Really Learn To Create PowerApps? 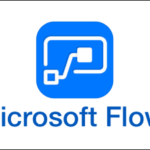 Microsoft PowerApps: What Is It? What Does It Do? Is It Easy To Use? Top 5 Microsoft Powerapps Development Benefits You Can’t Afford To Miss Out In 2018!